So, as a middle schooler, I thought that Awesomewriter65 would be the perfect username for my Wattpad. 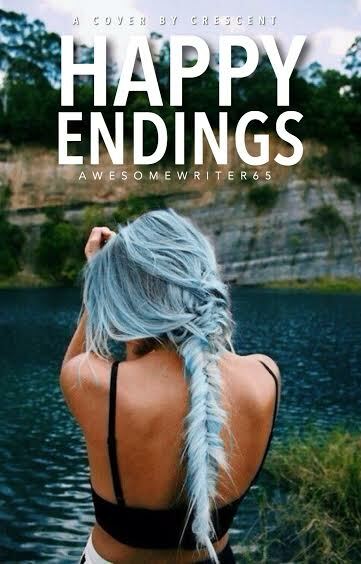 I had then started writing Happy Endings. This story was practically my baby. I worked out ever single detail I could and planned it to the tee. Even though I have everything for it planned, I still have not finished my entire novel. I have been rewriting, revising and planning this entire universe since I was in the sixth grade. Cover made for me by a fellow writer on Wattpad. 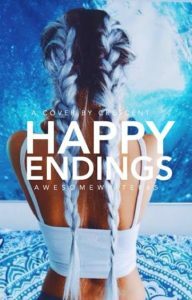 Since publishing chapters of Happy Endings on Wattpad, so far I have gathered over 1k in views. In honor of the many years I have been posting chapters of Happy Endings, I thought I’d share with you my favorite scene from Happy Endings. 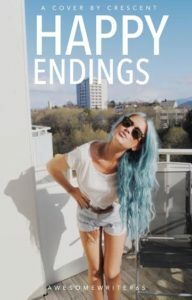 Another cover made by a fellow writer on Wattpad. “Life hits Rebecca Waters and Philip Waters in the face when their mom gets thrown in prison. With their mom in prison and their dad gone their older brother Eddie takes them in. Growing up with a drug dealing mom was hard enough, but after the arrest it was even harder being raised by their brother who was still growing up himself despite his age. Over the years once the kids watched as their older brother grew up from a rebellious teenager to a loving husband with a stable job and a baby. One mishap; their mother is released from prison on good behavior and is ready to fight for custody. If that can’t get any worse, Rebecca struggles with the idea of falling in love and the drama of high school. Thankfully Phil and Rebecca have their best friends to stick besides beside them. But when things start to look up, it all falls down. The twins’ mom hires scheming lawyer Shane Russo to plead their case and let their mom win. As he gets close to Rebecca and her weird family, Shane soon learns that he suddenly cares for this family which makes the battle even harder. Not only that, but Shane deals with his own inner demons. Now, the following is an interaction between the lawyer, Shane, and the twins’ sister-in-law, Angie. 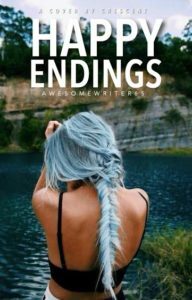 If you have any interest in reading more, follow my Wattpad page and check out my posts there. 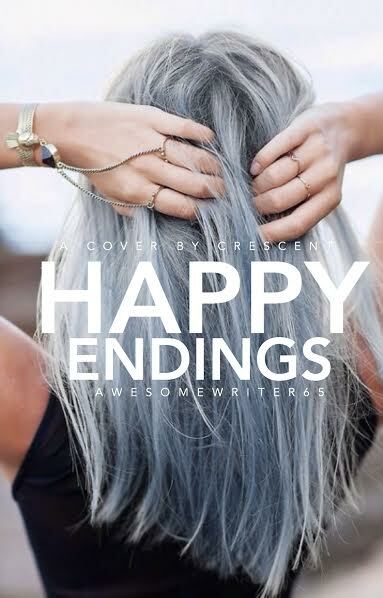 Yet, another amazing cover made by another member of the Wattpad community. “Shane stayed in a dirty motel a few blocks away from a few restaurants. This was his first custody case. Shane mostly worked with cases in which someone sued someone else. The only thing he hoped for is not bonding with the twins. That would be horrible. He was hired by the twins’ mom to represent them, but somehow let their mom win. For the sake of the case, and for the sake of him getting his money, he had to let their mom win and had to not get attached to the two teens. As he threw his clothes in the dirty dresser that smelled like mold, he hoped the dresser wouldn’t ruin his clothes. The room was dark and dusty. There was one bed and a dresser and a square T.V. There was a bathroom, a small one at that. The room was quiet. It was almost too quiet. He could hear his own heart beat. It was a nervous heartbeat. It was a guilty heartbeat. The kind of heartbeat you get after someone gets furious with you and you’re afraid they’ll never forgive you. All he had left in his brown matted up suitcase was a couple of black shirts and some socks. He shook, startled when he heard a knock at his room door. Shane stood silently hoping the knocking would go away and he could watch T.V. His body was like a deer when it sees headlights. Only fear pumped his blood. The knocking soon turned into banging and he gave in and slowly walked to open the door. When he opened the door, he saw a short British woman with dark red hair crossing her arms. Her arms were crossed and anger spread across her face. Angela jabbed her pointer finger at Shane’s chest yelling, ‘You’re a fraud!’ She backed him up into the room and slammed the door behind her. Shane crossed his arms, ‘What in the world are you on about?’ He snapped. ‘What am I on about? Don’t act like you don’t know,’ she replied in a irritated voice. Shane threw his hands in the air. ‘Well if I’m an actor, you might as well give me an Oscar!’ He replied sarcastically in an almost shouting voice. He tried to ignore Angela so he walked his way to the mini fridge in his motel. Angie still stood, silently judging him. Angela knows how to get information outta of people. She does it for a living. She can flash the opposing side in a courtroom a look and she can get the information out of people. Angela is an honest person. She doesn’t believe in lying and she can sniff it out a liar from miles away. Shane stopped in his tracks as he opened the bottle of beer. ‘What do you know about me?’ His voice shook as he turned around to face her. He tried the best he could to as stay calm as he could, but in that moment it was hard to stay calm. ‘You’re just another sleazy lawyer!’ she accused. ‘I wouldn’t know what you’re talking about,’ He replied sipping his beer. Shane rolled his eyes at her. ‘Oh yeah?’ He tested. ‘You act like women don’t know how to do their research,’ Angie muttered under her breath. Shane kept rolling his eyes at her. This whole conversation was like arguing with his siblings. The other one will just keep badgering him until he finally tells the truth. He didn’t want to give in, but if there is one thing he hates more than waking up before noon, it’s someone like Angie. Granted, he knew what he was walking into when he signed up for this job. Laura gave him information of the family. Shane already knew what he needed to know. It was just a matter of time before he could put everything into action and do what he does best. One last awesome cover made for me by someone on Wattpad. Shane downed the rest of his beer he had been drinking and threw it in the trash can. He watched her as she circled the room, trying to wrap her head around the situation. Angela quickly tried thinking of solutions to fix the problem. It seemed like everyone had goggles on in the house. They all thought this guy was their savior. To Angie, he was translucent and she could see right through him. She was even surprised that Phil and Eddie fell for Shane’s act. She seemed more calm than before, but now she was more sad than angry, ‘Why’d you even take this case? Because their mom offered you a lot of money? I can see you need it.’ She looked around at the grimy hotel room. Angela scoffed at this and rolled her eyes. She had every right to. She doubted that he was any different now. The reason he was broke is because he blows all his money. Mostly on gambling and drinking. The reason he took this job was because to him, it seemed like the perfect job for him. It was different and seemed easy enough where he could pass with flying colors. Plus, these days it seems like people love seeing children reunited with their biological mother. ‘But I’m also doing this because I really want to do this, and do something good for these kids,’ Shane lied and Angela just rolled her eyes. She could see right through this guy. She no idea why anyone would trust this him. Must be his good looks, Angela thought to herself. ‘Listen here Shane Russo, these kids mean the world to Eddie. I’m pretty sure he loves them more than he loves himself. If I could, I’d be the lawyer in this case but I’m not,’ She walked up to him and stabbed his chest with her finger again. Lou is a writer of rom coms, eater of pizza, lover of 90s boybands and cat enthusiast. You can follow her on Twitter at @aweosmewriter. 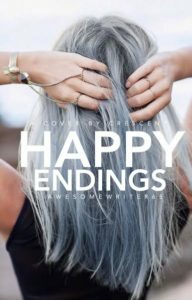 This entry was posted in guest post and tagged guest blog post, wattpad, writer, writing. Bookmark the permalink.